When you stumble upon an abandoned spot you immediately know two things: there were people here once, and... (duh!)... those people are no longer here. That’s enough to make the mind run wild with questions, like did technological or social changes render this place obsolete? Did some natural or economic disaster befall it? 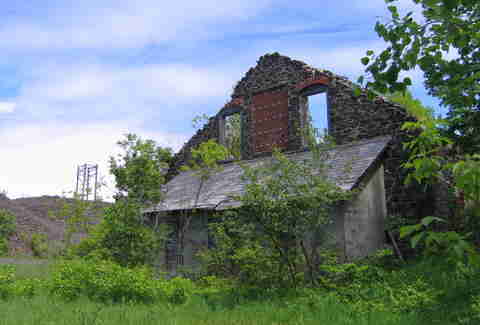 Or, maybe, where are people finding these abandoned places so they can even ask themselves these questions? Luckily, we’ve got an answer for that last one: These are the 13 most insane spots in Michigan that have long since been left to the wild. 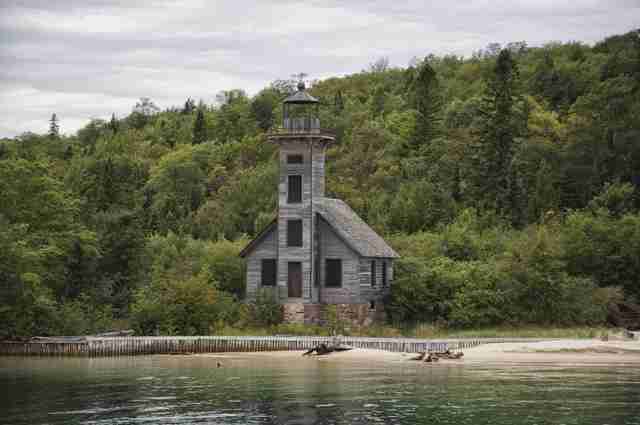 This lighthouse first shone over the icy waters of Lake Superior in 1868, but due to low visibility, its duties were relinquished to newer lighthouses and it was officially retired just 40 years later. The wooden construction appears to have stood the test of time and still serves as a point of interest for tourists who can pass by its aging frame via sea kayak or boat. 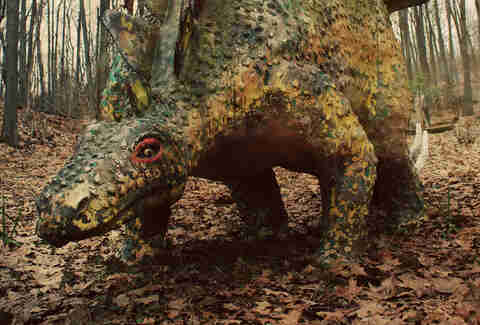 Hidden in the Irish Hills south of Ann Arbor are 15 acres of what is the ideal habitat for fiberglass dinosaurs, which are pretty much all that’s left of this former roadside attraction that drew tourists from 1963 until its closure in 1999. Today, despite rumors that a new owner’s purchased the land, the dinosaurs still lurk (albeit a little worse for wear) amidst the unkempt vegetation and eerily quiet woods. It took more than eight years to construct this 3.5 million square-foot luxury automobile-manufacturing plant, which sits on 40 acres of land, that was designed by famed architect Albert Kahn and completed in 1911. The majority of the factory closed in 1958, with some businesses using the property through the 1990s and finally dwindling to the final tenant who packed up in 2010. The crumbling behemoth has been a scrapper’s paradise, a home for vagrants, a canvas for installation artists, and even the site of a recent tiger escape. Purchased in 2013 for $405,000, demolition and reconstruction efforts have begun to bring new life to the plant, but its long-term vacancy and sheer magnitude earns it a spot on our list. 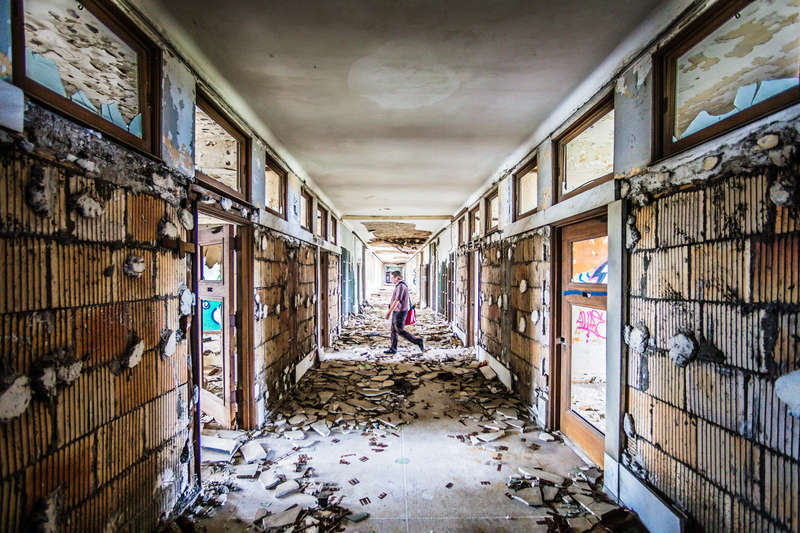 It’s all fun and games until somebody gets a lobotomy, and you can be sure they doled those things out in this 20-building asylum, built in 1952 on more than 400 acres. But even creepier than straightjackets and rooms that only lock from the outside are the miles of steam tunnels beneath the facilities that used to carry electricity, heat, and yes, even humans. 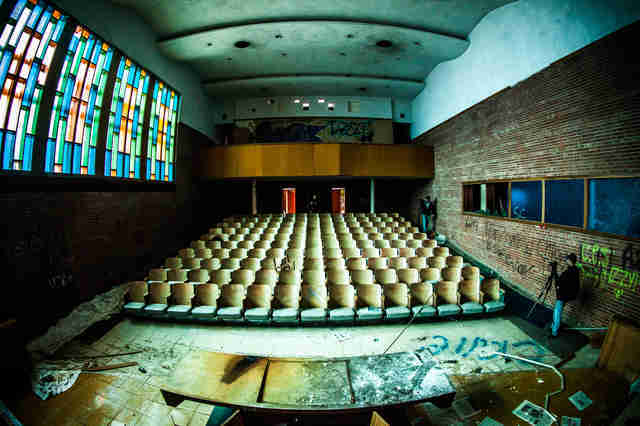 Northville Regional's been targeted for demolition and redevelopment, and these days the property crawls with police who are more than happy to slap trespassers with hefty fines, so you might want to cancel your urban exploration party. Or don't... it's your life! The Great Lakes hold plenty of shipwrecks, but none are as visible to the naked eye as the Francisco Morazan, a 234-foot-long German-built cargo ship that ran aground on South Manitou Island during a snowstorm on Lake Michigan in 1960. Following the loss, a private company was hired to salvage the cargo but only came out with five tons of canned chicken (though islanders were able to salvage more in later years), and today the wreck is state property, guarded by a battalion of vocal and foul-smelling cormorants. 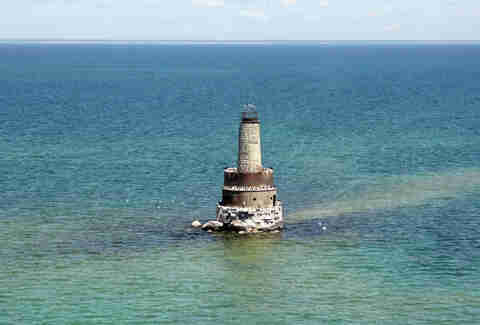 Built in 1851, this lighthouse has been deactivated since 1912, and is considered a “nautical gravestone” for the slew of shipwrecks that lie in the shallow waters (only 12-feet deep) nearby, which make the straits of Mackinac one of the most perilous parts of any ship’s journey between Chicago and all points east. Used by the US Navy for bombing practice during World War II, it is now considered an endangered lighthouse due to lack of upkeep and ownership. 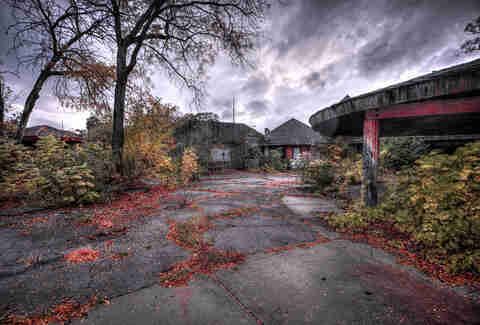 The outdoor Belle Isle Zoo (later the Children’s Zoo) was open for 107 years before being shuttered in 2002 by then- mayor and current federal inmate Kwame Kilpatrick so he could save $700,000... and open another zoo, a Michigan-themed Nature Zoo at the north end of the island. During its heyday, BIZ was home to polar bears, kangaroos, elephants, etc., though now it feels like an ancient jungle ruin that Indiana Jones would have raced into with a bullwhip and a map to find some hidden artifacts. This gargantuan edifice once accommodated 200 children, classrooms, dormitories, playrooms, a dining hall, and other facilities. Erected in 1915, it closed in 1965 after hosting its last group of children -- refugees from Fidel Castro’s Cuba. 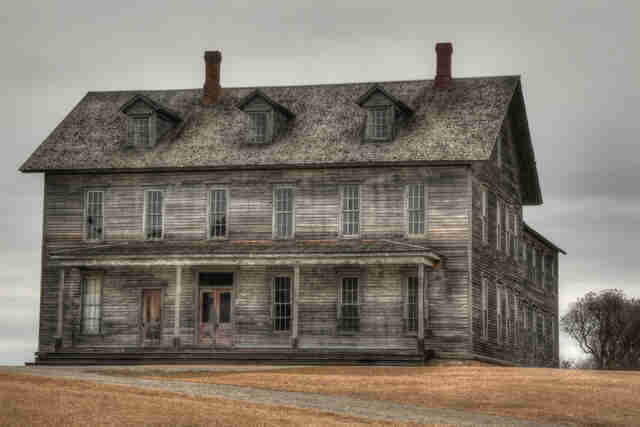 Located on many “most haunted” lists, there is no shortage of urban legends and stories surrounding the mistreatment and demise of some of the children housed here over the years. Renovation efforts have been underway since the summer of 2016, so it's only a matter of time before this place reopens as a modern apartment building, but ask yourself this question: can a fresh coat of paint really overwrite that much spooky history? There’s no shortage of old mining camps up in Copper Country, most of which sit in varying degrees of disarray these days. One of the best preserved and most extensive sites is the Quincy Mine: There’s a portion that you can legally visit as a museum, and then there are the off-the-beaten path sections where you’ll be traversing cold water and putting yourself in actual physical danger. We can’t tell you where to go, but chances are if you’re in the Keweenaw and have a sense of adventure, you’ll find your way there. 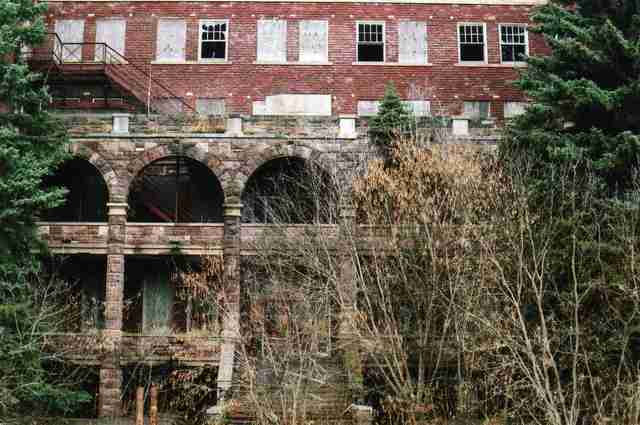 Though more is missing than remains, the leftovers of this 50-acre complex are still touted by paranormal experts as one of the most haunted locations in Michigan. Eloise served as a mental institution (also a tuberculosis sanitarium and a poorhouse at some point) for more than 150 years. Knowing what we know about the history of mental health treatment in the country of the freedom eagle, you can imagine a series of unfortunate events occurred behind these walls. “Easy come, easy go” could be the motto for any “rush” kind of ghost town -- in Fayette’s case, it was the iron rush that gave it life in 1867, and the lack thereof that made it a ghost town in the early 20th century. Now a state park along the Upper Peninsula’s southern, limestone-bluffed shores, many of the town’s buildings still remain intact and provide a glimpse into the North Country’s past. 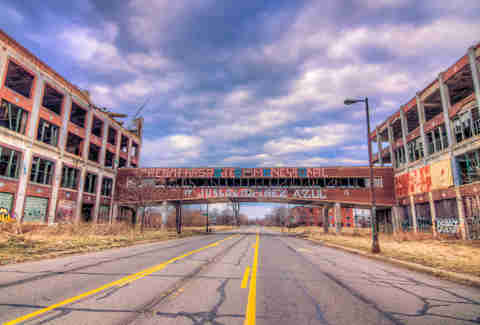 Now that the Packard Plant has been bought, and construction’s beginning on turning it into living, retail, and office spaces, Fisher Body Plant 21 may well be the reigning king of Detroit's abandoned factories. At the corner of Piquette and Antoine, this factory for Fisher vehicles (which was eventually dissolved into General Motors) was designed by famed architect Albert Kahn and built in 1919, and was in service until 1974. 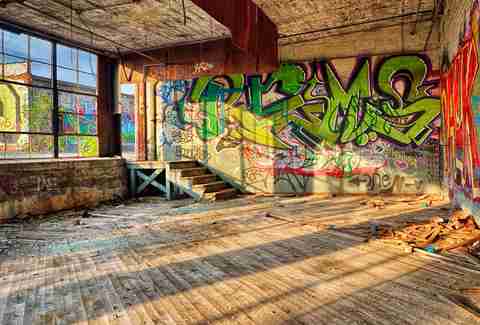 The neglected space has been utilized as a canvas for graffiti artists, and even installation artists who have created some pretty unique happenings inside. 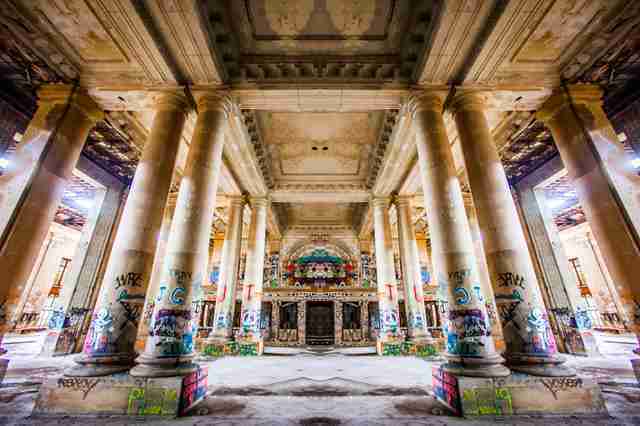 We couldn’t leave this one off: the most infamous of all of Detroit’s abandoned buildings -- the “Train Station.” Though it’s never really been “abandoned,” it has been scrapped to the bone, defaced, smashed up, and scavenged and has fallen into a number of hands over the years, including its current owner, Detroit’s Scrooge McDuck aka Matty Moroun. But still the monolith is a looming presence in Detroit’s skyline, our version of the Parthenon and a reminder of another time in this legendary city’s life. Megan Frye is a Detroit-based writer and accomplished stegosaurus hunter. Follow her on Twitter at @Fryechild.